AMC's genre-bending martial arts series premieres in fall 2015. Folks who tuned into Sunday night's season five finale of The Walking Dead caught a brief glimpse of AMC's upcoming martial arts drama Into the Badlands starring and executive produced by Daniel Wu. The show is described as a "genre-bending martial arts series" loosely based on the classic Chinese tale Journey to the West. In a land controlled by feudal barons, the series tells the story of a great warrior and a young boy who embark on a journey across a dangerous land to find enlightenment. That first image looks like a Southern plantation of sorts. And of course, there are swords. Not much else to go on. In the United States, the "Badlands" traditionally refers to a region in South Dakota. Could the "genre-bending" be referring to elements of martial arts and western, like Kung Fu? I don't know, but it sounds cool. Asians on TV! This is becoming, like, a thing. Into the Badlands stars Daniel Wu, Emily Beecham, Sarah Bolger and Oliver Stark. The series was created by writers/showrunners Al Gough and Miles Millar, who will serve as executive producers alongside Stacey Sher, Michael Shamberg, Stephen Fung and Daniel Wu. 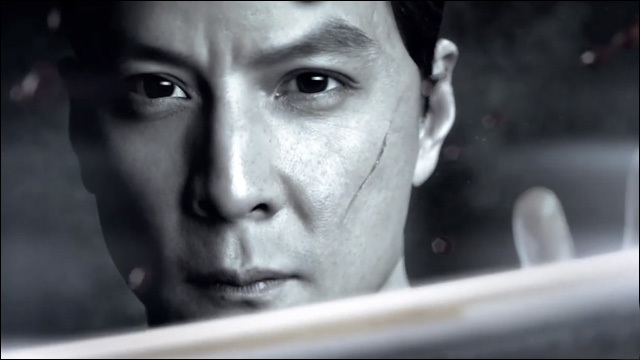 Into the Badlands premieres in fall 2015.